Dr. Hollylynne Lee is a professor of mathematics and statistics education at the NC State College of Education. 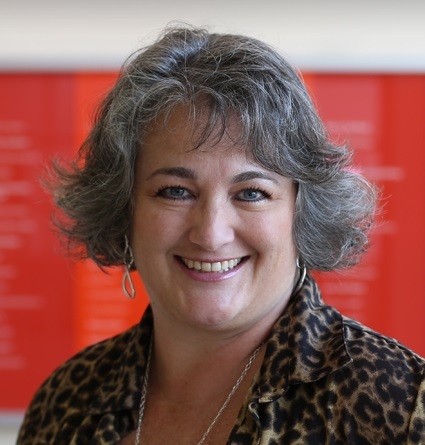 She also serves as a senior faculty fellow at the college’s Friday Institute for Educational Innovation and as a 2018-19 RTI University Scholar at RTI International. Her research interests include teaching and learning of probability, statistics, and data science, especially incorporating technology use and designing technology environments that facilitate students’ learning. Dr. Hollylynne Lee, a professor of mathematics and statistics education at the NC State College of Education, will present “Bringing Data Science to Middle and High School Education” during Databytes, a lunchtime webinar series hosted by the National Consortium of Data Science, on Wednesday, March 6. She will present alongside Peter Baumgartner, a data scientist at RTI International. Lee and Baumgartner will share efforts to increase awareness and implementation of aspects of data science skills, as well as to improve data literacy for all students in middle and high schools. They will also discuss how efforts at the NC State College of Education’s Friday Institute for Educational Innovation and RTI International are focusing on improving data science education in secondary schools. When: Wednesday, March 6 | Noon-1 p.m.